Heading into the 2017 season, one of the strengths of this Yankee team, along with the youth movement and the back end of the bullpen, was the first base position. 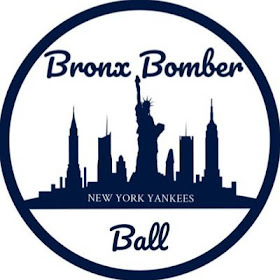 Greg Bird and Chris Carter were expected to make up a powerful, dynamic duo for the Bronx Bombers and hopefully revitalize first base for New York, one of the glaring weaknesses of last year's team. Bird, apart of that youth movement, was coming back after being out all of the 2016 season with a shoulder injury. He was also coming off a blazing hot Spring Training, in which he hit seven homers. Praised throughout the league, many touted him as being a breakout player and potentially a future star in this league. Bird was looking to build off of that Spring Training and the boost he gave the Yanks at the end of the 2015 season. Now, there's questions about whether a demotion would be the best thing for Bird. Even if Bird had struggles returning to 2015 form, there was an experienced veteran behind him in Chris Carter. Carter came off a season in which he was tied for sixth in homers in all of baseball, having hit a career-high 43 of them. 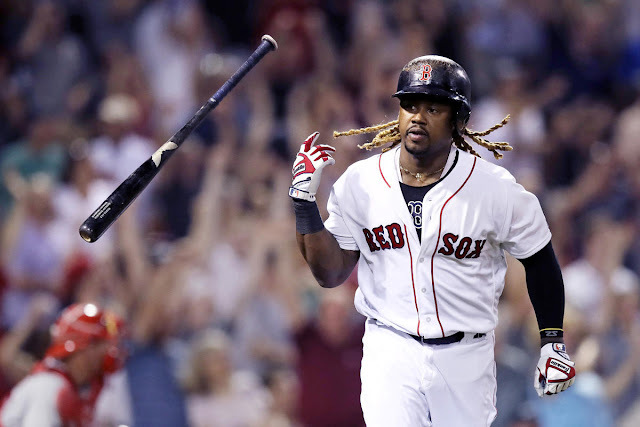 His power and the cheap price he was brought in for was suppose to be helpful depth to the Yankees roster, as they would use him sparingly at first base and DH. Well, each of the first two scenarios have not panned out thus far. Before Sunday night’s game, Bird had started the season one for 26, the lone hit being a double. Of those 26 at-bats, 13 were strikeouts, as he recorded at least one in every game and at least two in four of the seven games. Along with the sluggish start, Bird caught an injury that forced him to miss about a week of playing time. Bird’s start is reminiscent of Mark Teixeira, who was historically bad to start the season. On the flip side, Carter is four for 25 on the season with three RBIs. He did record a crucial RBI single in Saturday’s win over the Cards, but he registered four strikeouts in his other at-bats. 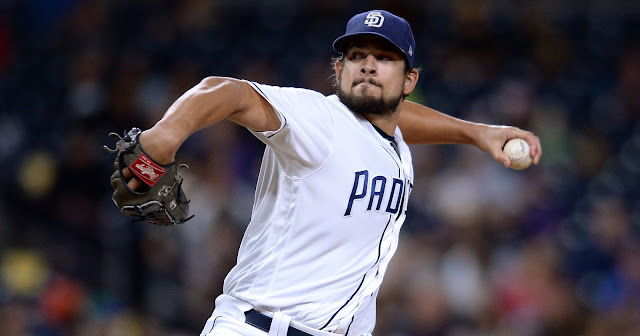 Last season, his strikeout rate was quite alarming, while also hovering around the Mendoza line for much of the season. So it’s probably not as much of a surprise to see Carter struggling, as he is a virtual home run-or-miss, Adam Dunn-type guy. His lack of agility also creates a less than stellar defensive option over at first, as it’s better suited for him to be at DH. The Yanks are also without Tyler Austin, who also would’ve likely gotten some starts at first base. Despite the panic, there's a few reasons not to worry. One, the Yankees are 9-4, tied with the Orioles for not only the AL East lead, but also for the best record in baseball. 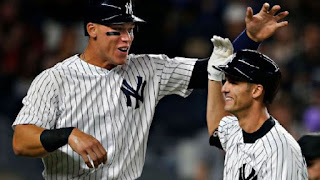 The Yanks also being on an eight-game winning streak is a positive in the fact that they have done it without production from the first base position, Carter and Bird, along with the absences of Austin, Gary Sanchez, and Didi Gregorius. Last, but not least, Bird looks to have hopefully broken out of his early season slump after going three-for-three in Sunday’s series finale against the Cardinals, which included a walk, double, and a crushed homer to deep right, his first of the season. Despite the atrocious start, don't worry Yankee fans, there is still plenty of baseball left to be played before we should start truly worrying about Greg Bird. 9-4 is all that matters.